It has been too long since I last wrote and I have clearly let other things get in the way; that's how life happens sometimes and no matter how much experience of it we have, life still throws us surprises. The better prepared we are by our education and the more experiences we share with others, the better equipped we are to live life and to learn from it. In that spirit, an education should be a preparation for life, not a protracted system of university admission. This is what we plan the six year experience at Doon to be: a curriculum to prepare the boys in our care for a life of service, citizenship and fulfillment. On a recent trip to Bhutan, we learned about some of the ideas on which the educational policy of the country and the philosophy of the Royal Academy are based. The idea articulated by the King in his coronation speech in 2008 that, "the future is neither unseen nor unknown" is one that guides the work being done in Bhutan's schools today to prepare children for an adult life of service and citizenship. He went on to say that the future, "is what we make of it. What work we do with our two hands today will shape the future of our nation. Our children's tomorrow has to be created by us today." If we, as educators and parents, are able to accept this responsibility, then the work we do for our children has more urgency and meaning. The number of articles and reports that have been published recently about the environment and rate at which we are burning through it, cause me real concern about what we are doing now and how it will impact our children's future. I worry that it will matter less and less what we teach our own children, community or country, because it is a global collective consciousness that we need to work with, educate and influence. We have to be thinking bigger and we have to be doing it together; we need to be adult about it. 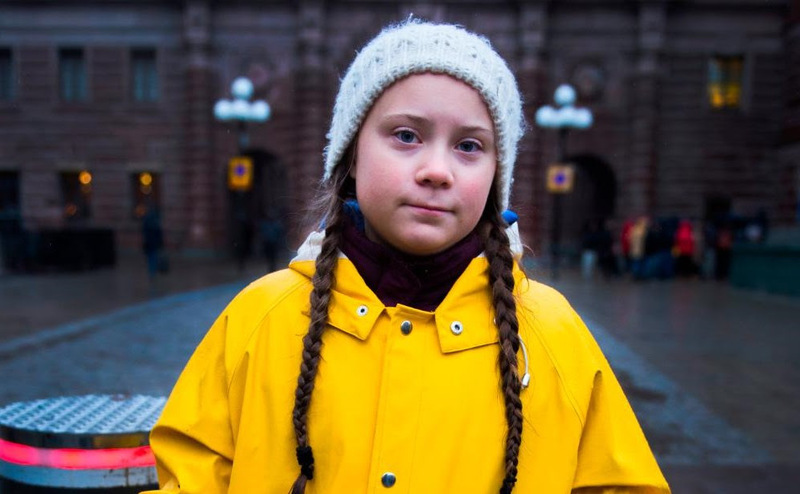 Those of you following the story of Greta Thunberg will know how her initial solitary school strike has become a movement around the world under the #climatestrike, #fridaysforfuture, and #schoolstrike4climate hashtags. It's an example of how a child's idea can resonate and grow with the support of other children into something that will have an impact; these children will be voting in two years time and activism like this fills me with hope. The way they are seizing the day and, following the words of the King of Bhutan, making their own future, is inspirational. The events planned for March 15th around the world have grown significantly in number in the last week but I cannot help noticing that the there is a gap in the north of India waiting to be filled. During the last month, the school's educational and financial heads have been working hard with support from the Board's Education, Treasury and Scholarship Committees to complete the budget planning for the 2019-20 school year and to award the needs-based scholarships. As with any good school, most of our budget goes on the salaries of the teachers; the knowledge workers, who are planning and delivering the curriculum preparing our students for life. We also invest a lot into their professional development by sending them out to learn from schools and educational organisations like the International Baccalaureate Organisation, Cambridge Assessment International and the International Boys' School Coalition. Something that we will be doing for our teachers in the coming years is sending them to look at best practices in schools around the country and the world to see and learn how things can be done differently and what would translate well back at Doon. 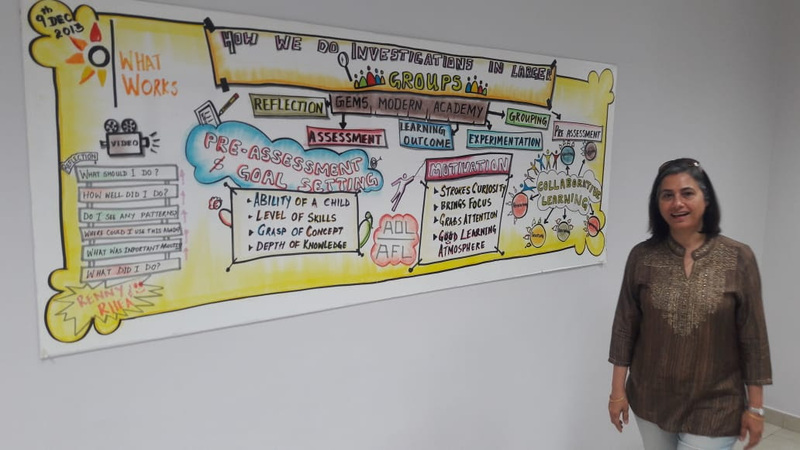 We are also in the process of recruiting an Instructional Coach to work directly with the teachers and lead the Teacher Development Centre who will be able to build on the great work that Anez Katre has done over the years, when she leaves at the end of this term. 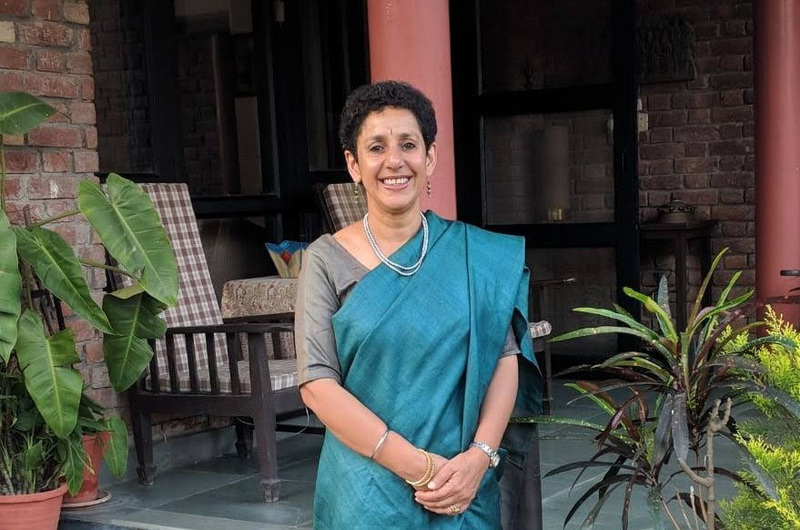 Anez has been part of the Dosco community for many years, with her own brother and husband having studied here, and we are going to miss her as she moves to Delhi to be closer to her family. She headed staff training, was a tutor in Foot House, has been teaching Lifeskills for the last two years, ran RLSS since 2010. She is an international official and has served at the Commonwealth Championships and three World Championships and was awarded the Service Cross by the Royal Life Saving Society Commonwealth in 2015. 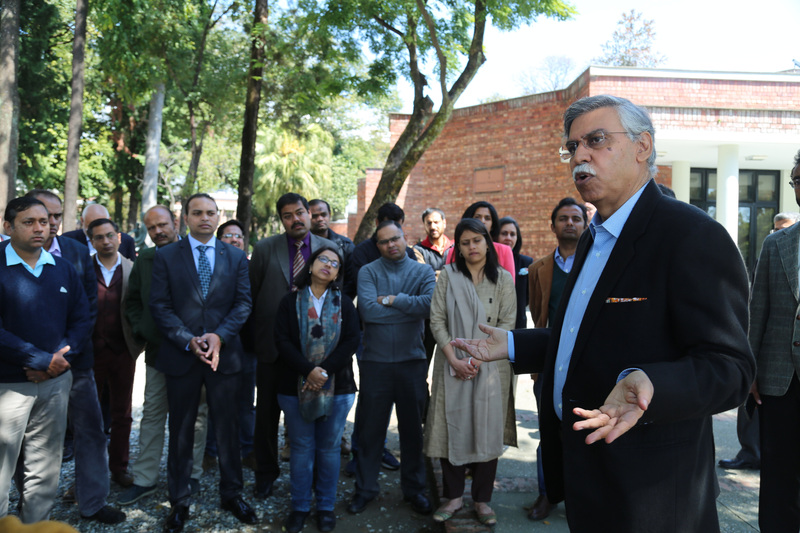 In our continued effort to grow the diversity of the student body at school, we visited Imphal and Guwahati in the North East before heading to Bhutan in the third week of February. 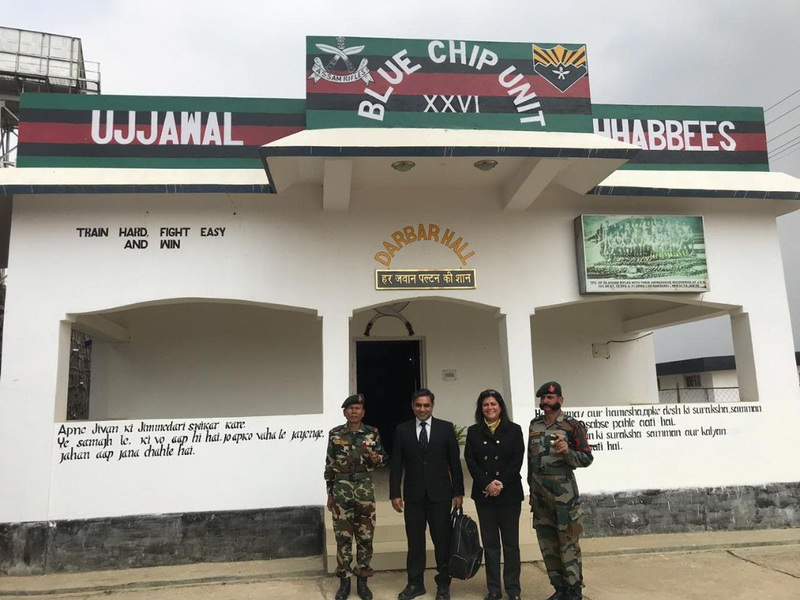 We sent an advance party to Imphal to meet about 175 officers and soldiers of the Assam Rifles. Wg. Cmdr. 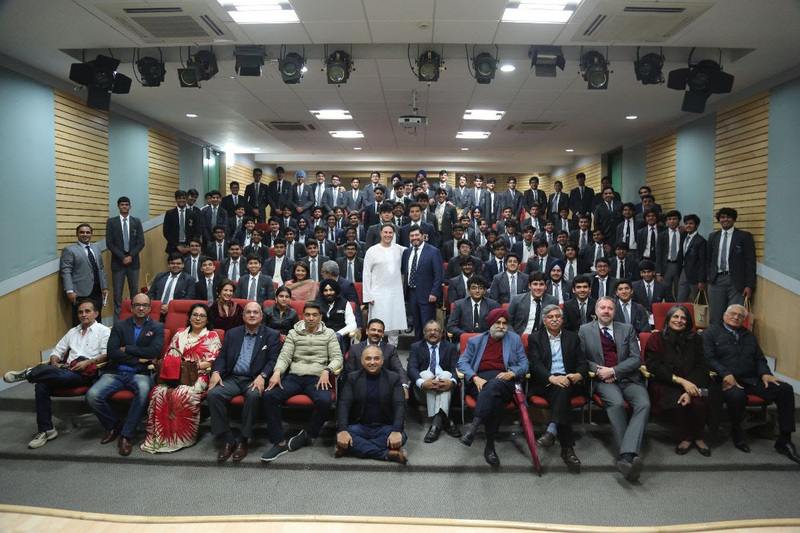 Joshi, our Director of Personnel, and Arjun Bartwal, our Director of Alumni Relations, Batch of '00 and son of an army officer, told them about the scholarships we have available for boys from the Armed Forces. Historically we had a much higher proportion of boys from this background who brought a great deal to the community in terms of geographical as well as socio-economic diversity. Thanks to our efforts to reach out, and to the efficacy of their internal communications network, we saw a ten fold increase in the number of applications of these boys last year and we hope that the number will continue to grow. We regrouped in Guwahati with the Chairman, DSOBS President, Secretary and members of the Diversity Committee. Some of our current parents very kindly helped to organise the chance to meet people from the North East community who are thinking about boarding education for their sons. As well as the information that we usually share, we were able to hear our School Captain's mother talk about her son's journey through school and the opportunities he has had to grow through our curriculum of academics, activities, service and sport; in my experience there is nothing more convincing to prospective parents as another parent sharing their story. Regional and socio-economic diversity is one thing, serving India by ensuring that our boys get to know their SAARC neighbours is another. We already have students from Nepal adding to our mix of NRIs, a few foreign nationals and our ongoing exchange programme population, but we would like to do more to help grow our regional outlook and global mindedness. 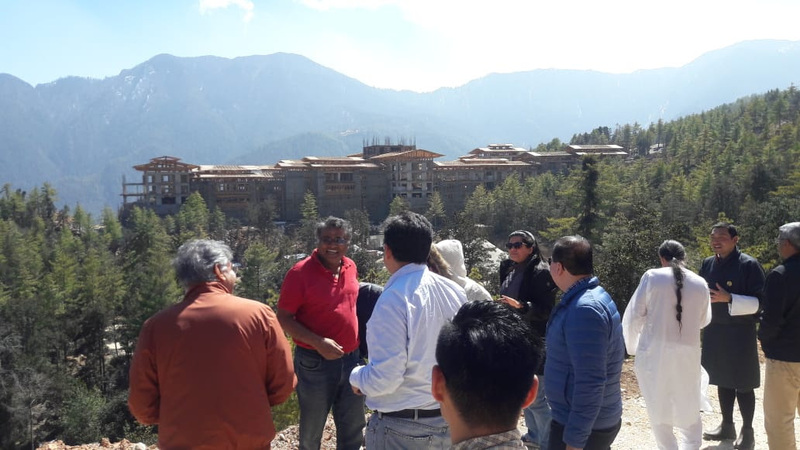 We are also deeply committed to growing the wellbeing of our students and the Happiness Quotient of the school, so a visit to Bhutan, a country that has been using Gross National Happiness as a guiding principle since 1972, seemed like a good idea. The Royal Academy is committed to teaching skills, processes and concepts that follow from the nine domains of Gross National Happiness (GNH) which the country has been using as a guiding principle since 1972; psychological well-being, health, time management, education, cultural diversity and resilience, good governance, community vitality, ecological diversity and living standards. Their curriculum has five areas for development; spiritual, cerebral, emotional, social and physical with each of these areas having a curriculum leader who plans and guides the experiences through which the children, and the staff, learn. We are learning from this approach as we go through the process of articulating The Doon School curriculum to share and make visible what six years of a Doon education will look like. As well as helping them to get into the university of their dreams, we also hope that our boys will become those just and ethical, wise and principled leaders that their family, their community and their country needs; able to speak up for those who are unable to speak, able to step up when those around them are not upstanding and able to take responsibility and influence others to be the best versions of themselves when ever, where ever and for who ever needs them. This is what we are educating them for, and all our futures depend on it. 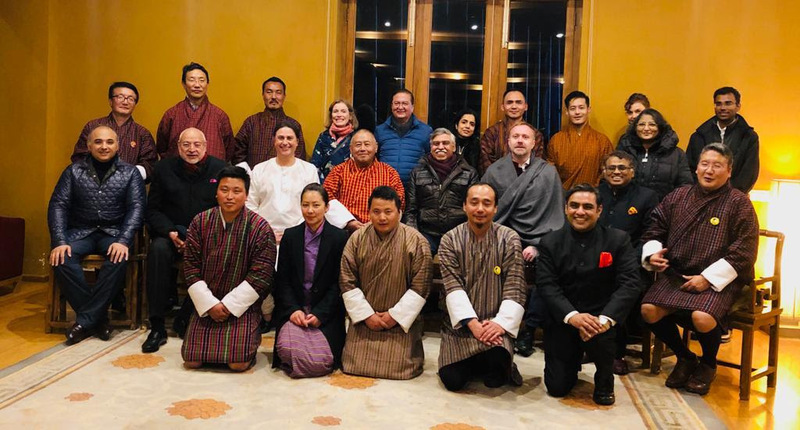 We were hosted by His Majesty the King of Bhutan through Arun Kapur, one of our former Masters, our board member who chairs the Education Committee and Director of Vasant Valley School in Delhi. As it happens, Arun is also the Director of the Royal Academy of Bhutan. All schools are committed to the education of their students, some are committed to the education of their staff and a few are working to have a national impact; Doon and the Royal Academy are two such schools. What the Royal Academy is doing better than us (and we love learning form other schools around the world) is creating a student body that is a real reflection of Bhutanese society and a faculty of both local and international teachers and researchers. There are 20 states in Bhutan, each one of them represented in amongst the students, some of whom take three days to reach the school from home at the start of term. For such a small country this gives you a sense of how isolated some of their communities are. With a population of 8 lakh people, it is perhaps easier to create a microcosm of the country in school, but it is still something that is very deliberately done. As well as meeting educators from Bhutan we met a teacher from Brazil who had studied his physics at Oxford, an anthropologist from Boston who had studied at Stanford and an Indian who had studied his computer science at the University of Austin, TX. Together, this team is building a school, a teacher training institute and an educational research centre in one residential community; that's how to build a school based on clinical practice. Stay tuned for more on this in the years to come, in the meantime some of their students and staff will be joining us for midterms in April. 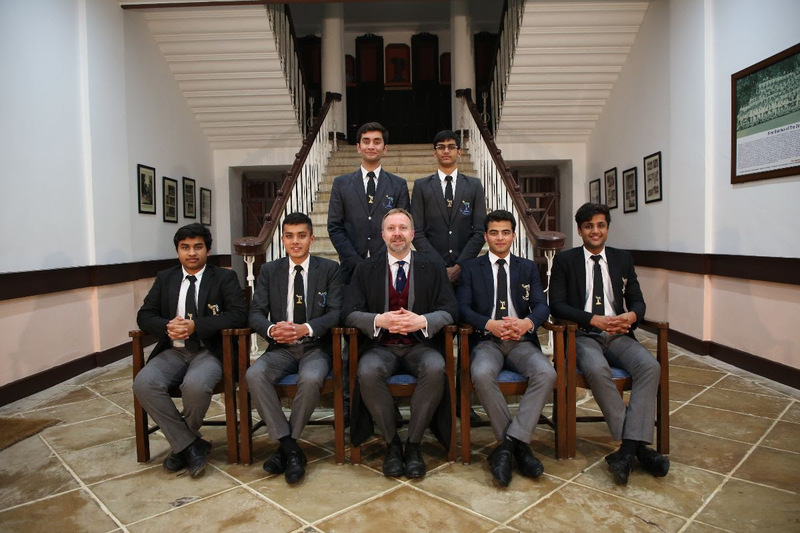 On March 2nd we welcomed the DSOBS Executive to the school for what has become a new tradition in school and an opportunity for the senior members of the fraternity to both welcome the junior most members. 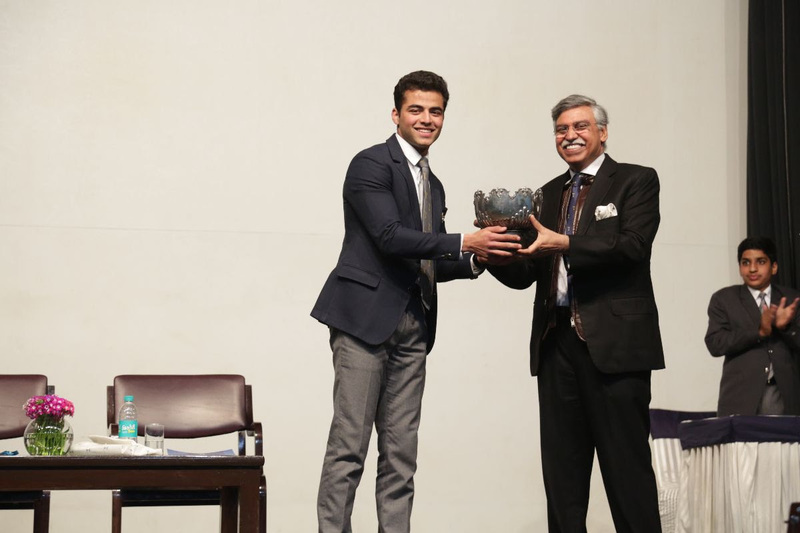 Rahul Kohli, President of the DSOBS took the morning assembly and talked to the boys about the way that they choose to use the privilege they have of being a Doon School boy and what being a member of the fraternity means and obliges one to do in the service of others. Later in the day, there was an induction ceremony for the Batch of 2019 in which they were given their Old Boys Tie by the President or by their father or grandfather if they were Doscos. 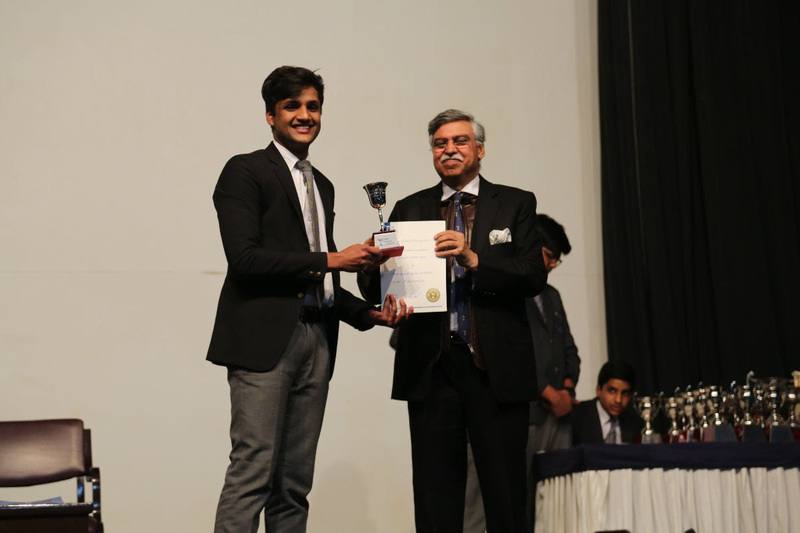 The closing part of the day was the Prizegiving assembly in which the academic, sporting, cocurricular activity and service awards were given out, including the General Proficiency prizes that went to Mayank Agarwal (Junior) and Kanishkh Kanodia (Senior), Gentleman Player of the Year to Viksit Verma and the six awardees for School Colours, which recognise a boy's contribution beyond any roles or responsibilities that he may have been given during his time at Doon. 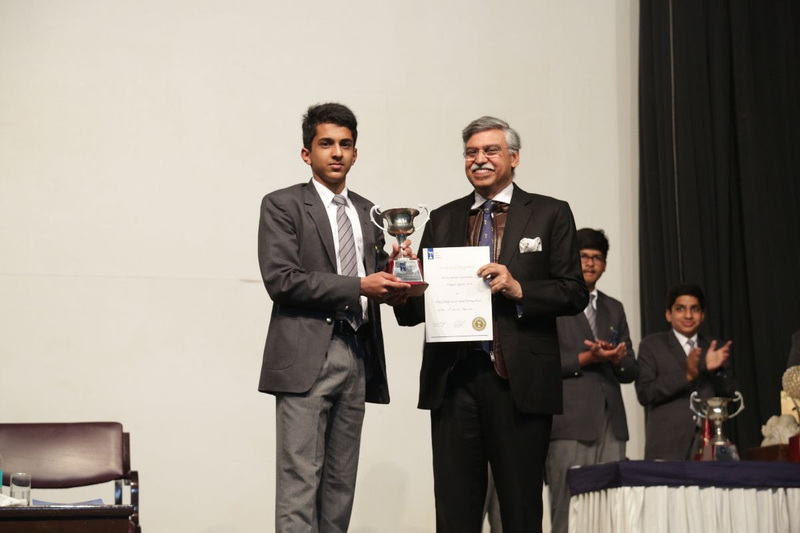 For this event our Chairman, Sunil Munjal, was our guest speaker and the person who handed the awards to the boys. Sitting L to R- Devang Laddha, Ranvijay Singh, Viksit Verma, Kanishk Kanodia. The following day we hosted one of the five Board meeting that take place during the year in school. The great thing about having these meetings in school is that the board gets to see the ground reality of the school in full swing as they have breakfast and lunch with the boys and masters, and they get to ask them questions that will help in their thinking and planning for the school. I was particularly glad that the teachers got to talk to them and, with a little impromptu organisation, the Chairman shared his thoughts and vision for the school with them. 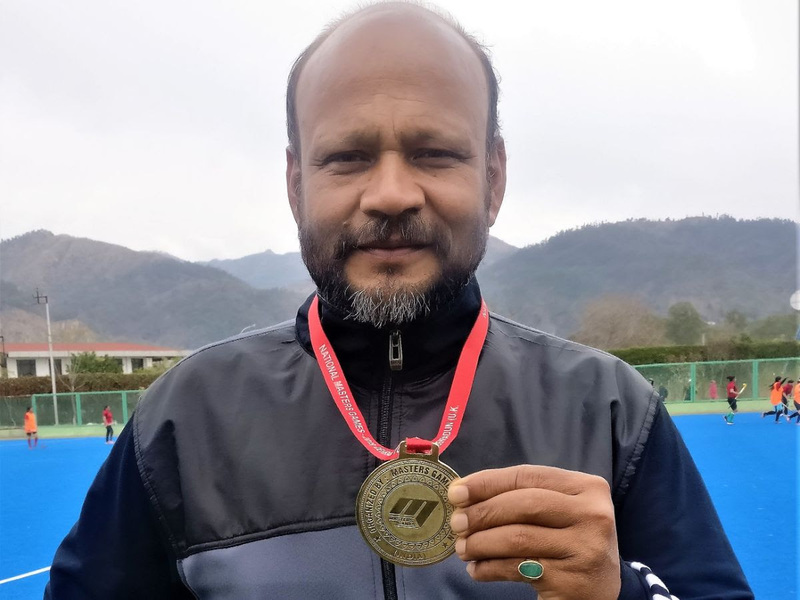 One award that didn't get handed out in the Prizegiving assembly, but is too good to miss here, is the Gold medal that Dr. Shukla won as part of the Uttarakhand state hockey team who competed in the 'National Masters Games' held in Dehradun between 24th of February and 2nd March 2019. These games are annually organised for veteran players. A number of national and international players represented various states this year. Uttarakhand State hockey team won the gold medal after beating Himachal Pradesh 6-2. Congratulations! Last week, Arjun Bartwal, the DSOBS President, the Chairman and I travelled to Dubai for the first DSOBS meet-up in a long time. 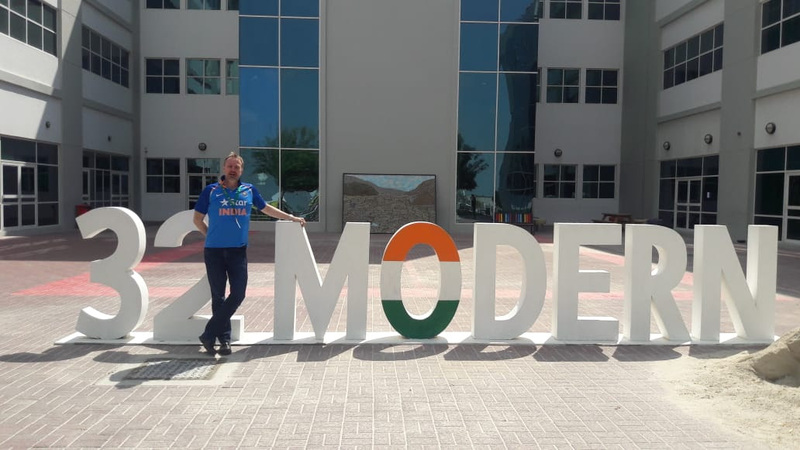 We added an information session to the trip for some prospective parents and I got to spend time in four of Dubai's great schools, including GEMS World Academy headed by my friend and former boss, Stuart Walker, and the GEMS Modern Academy, headed by the award winning Principal Nargish Kambatta (former Doon master and Oberoi Housemaster). GWA will be a destination for some of our teachers to visit later in the year. Again, the support and kindness of some of our parents in Dubai was remarkable and helped to make the trip very memorable. Right, time to think about the next cohort of D Form, the Batch of 2025, who will be joining us on March 31st!